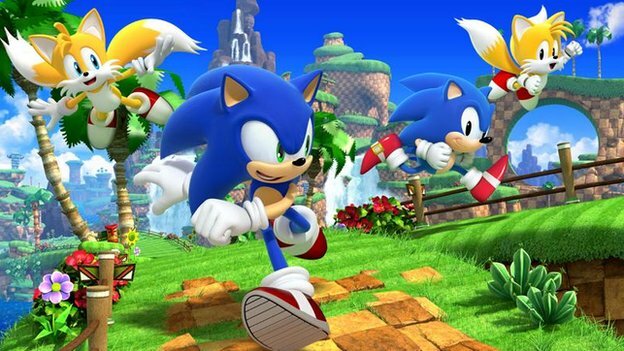 Though it was announced beforehand, the Sonic the Hedgehog franchise was recognized today at the coveted Golden Joystick Awards held in London, England. Though not winning for any specific game, the franchise was given Outstanding Contribution Award, in honor of the 20 years of influence the gaming mascot has had in the industry. For those keeping track, this is actually the third Golden Joystick the Sonic series has received in recent years, the first two being awarded in 2004. The first for Handheld Game Of The Year (Sonic Advance 3), the second for “The Sun Ultimate Gaming Hero.” Wow, Advance 3 even beat out Superstar Saga!…but digress. Who knows if Sonic Generations will play a part in next year’s ceremonies, but since we have less than two weeks before that game comes rolling out, it only makes sense for Sega to throw up some new shots on the official site for the game.